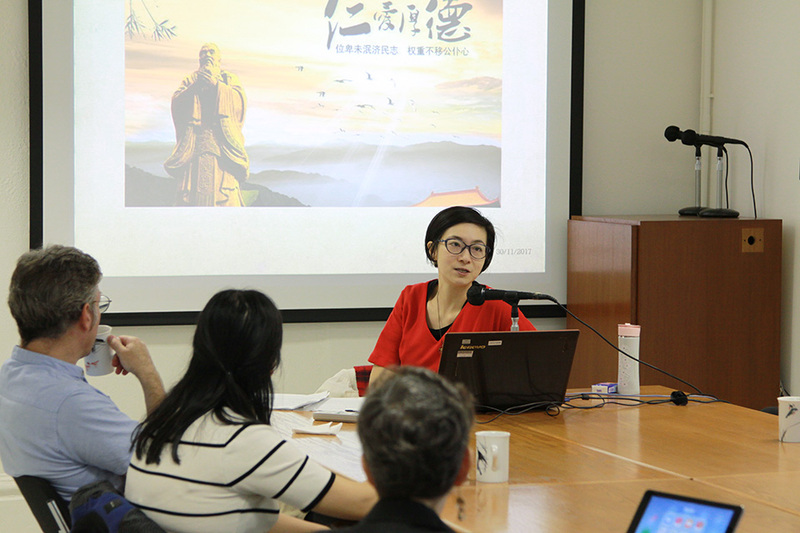 This talk examines how “love” (ai愛) as an affective concept made its way into the Chinese vocabulary where previously such meaning was absent, and the ways in which it has been adapted as a political discourse in modern China. Previous works have identified the Christian influence on the modern meaning of ai. 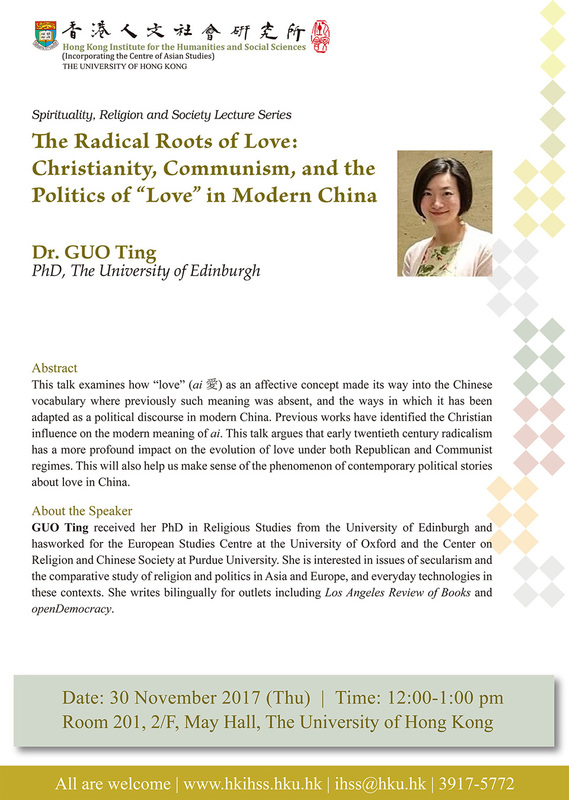 This talk argues that early twentieth century radicalism has a more profound impact on the evolution of love under both Republican and Communist regimes. This will also help us make sense of the phenomenon of contemporary political stories about love in China. 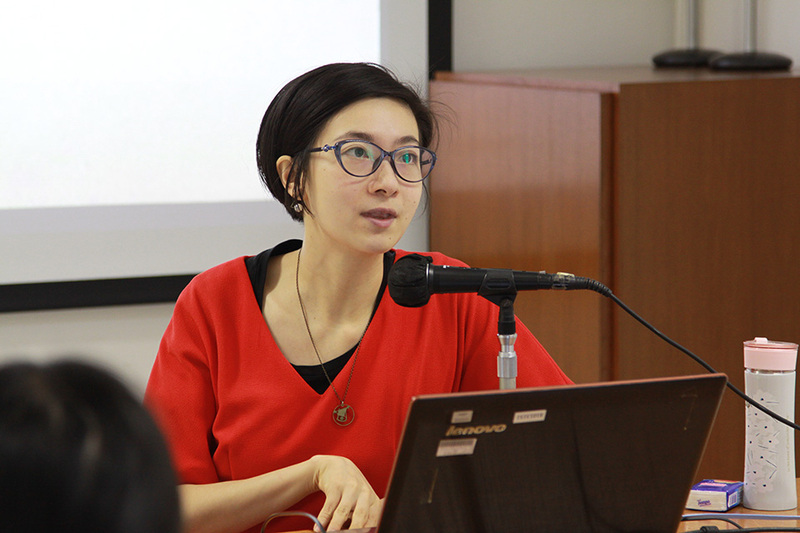 Ting Guo received her PhD in Religious Studies from the University of Edinburgh and has worked for the European Studies Centre at the University of Oxford and the Center on Religion and Chinese Society at Purdue University. She is interested in issues of secularism and the comparative study of religion and politics in Asia and Europe, and everyday technologies in these contexts. She writes bilingually for outlets including Los Angeles Review of Books and openDemocracy.